Description: January 25, 1968, Forrest County Circuit Court (Hattiesburg, Miss.) arraignment of suspects in the January 1966 murder of Vernon Dahmer and the firebombing of his house and store. 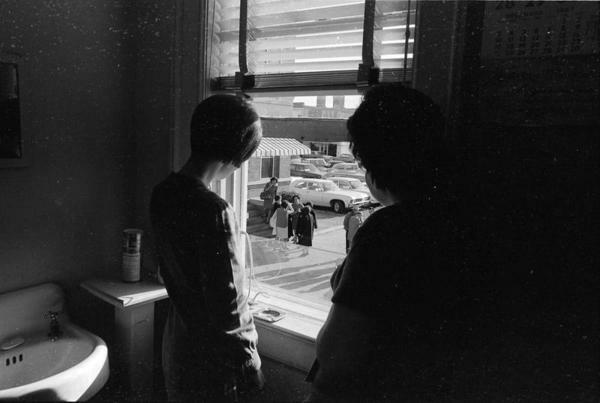 Two female employees of county tax collection division office watch family members of suspects outside Forrest County jail.